Greenberg directs her substantive commercial photographic skills towards depicting animals as emotionally-charged beings. In her portraits of horses, monkeys and other species, she transforms her sitters into ennobled creatures who assume uncanny human characteristics. Sometimes campy, sometimes more serious in tone, her close-up images harness the techniques of studio photography to more serious ends. 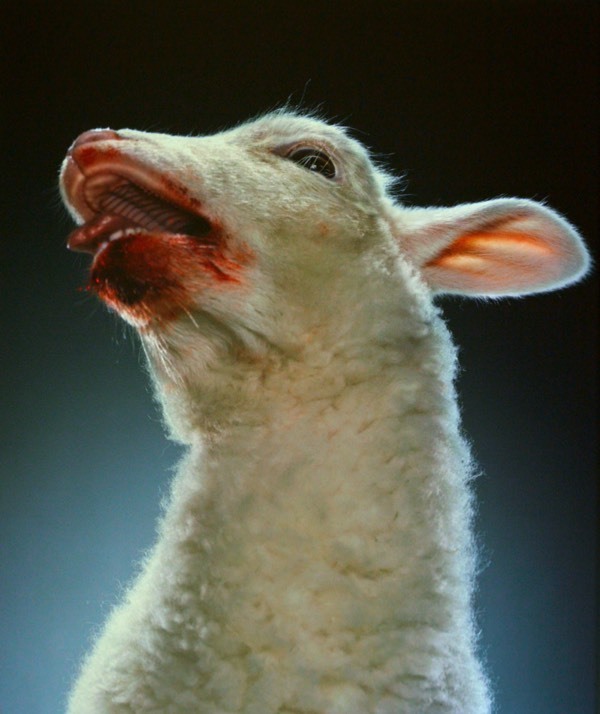 In this image, one might construe the upturned head, open jaw and bloody mouth in light of Christian iconography.